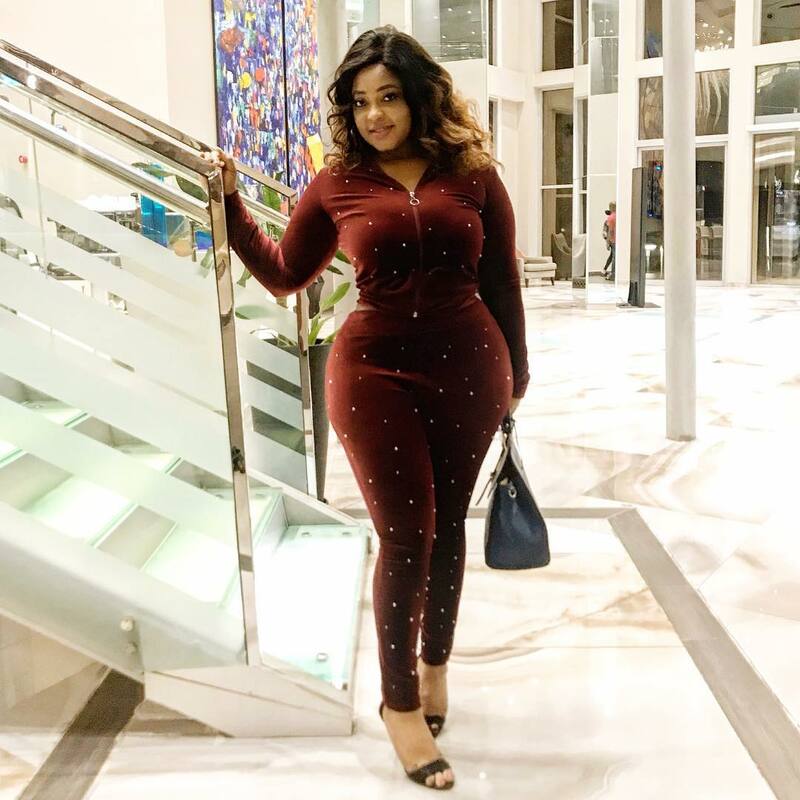 Biodun Okeowo popularly known as 'Omo butty' is a well-known actress, whom I think gained more limelight because of voluptuous shape. She rocks in a coffee-brown pyjamas having silver accessories all over the outfit. She really had a nice befitting in this outfit which also gave her curvaceous shape that happiness to glow!